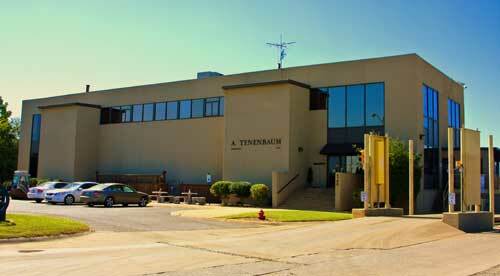 Tenenbaum Recycling Group, LLC (TRG) is a full-service scrap metal processing and recycling company with multiple locations across the state. Our network of scrap yards and service centers, consisting of TRG North Little Rock, TRG Jonesboro, LLC, TRG Harrison, LLC , TRG Rogers, LLC, TRG Berryville, TRG Russellville, LLC, Express Recycling, TRG Hot Springs, LLC, TRG Fayetteville, LLC, TRG Reeds Spring, LLC, and Arkansas Aluminum Alloys, Inc., collect, process and recycle ferrous metals (iron and steel) and nonferrous metals (such as aluminum, copper, stainless steel, nickel, brass, and others). Established in 1890, when all that was needed was a cutting torch, some alligator shears and something to move the material with, TRG has since grown to be one of the top businesses in the State of Arkansas. We take pride in our history and maintain an ongoing commitment to provide the most reliable service, efficient process, competitive pricing, environmental compliance, and high quality product available. As part of this commitment, we are constantly investing in improvements to our facilities, technology, and way of doing business. For our suppliers of scrap metal, we have modern unloading equipment and convenient hours. We provide industrial suppliers with large onsite containers with pick up, special equipment and other material handling services included. For our purchasers of process scrap, we transport in bulk or containers via ships, barges, rail cars, and trucks, all across the globe. Experience the TRG difference. Contact us today! TRG is a full service metals recycling company of ferrous and nonferrous metals. We recycle more than 350,000 tons of steel and 10 million pounds of cans a year. TRG's EXPRESS Recycling Center utilizes modern unloading equipment that speeds up the process and makes our suppliers more productive. TRG is a company with a long and proud history, and we are always looking for talented, capable people to join our team. We offer competitive salaries and excellent benefits.